It's always annoying when a subsequent version of a software program eliminates useful features. When a new version of a program requires more clicks to accomplish the same task, user feedback isn't being sought and usability tests aren't being conducted. So it is with Windows Media Player 12. However, there is a simple shortcut to access the Menu Bar (the tool bar with File, View, Play, Tools and Help) from the Now Playing screen. In addition, in this tutorial I will explain how to change Windows Media Player 12 so that when you open the program, it opens on the Now Playing screen. Note: Show menu bar is activated when there is a check mark next to it. 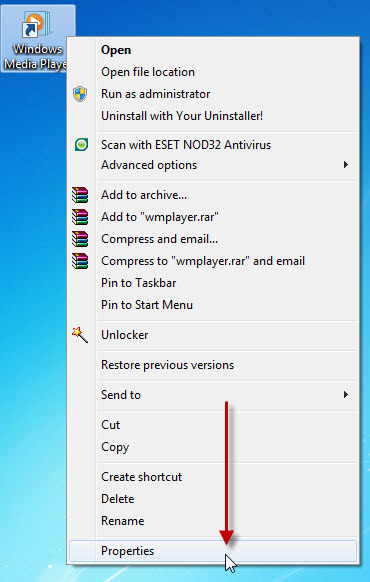 Ctrl + M (instead of steps 2–4 above). 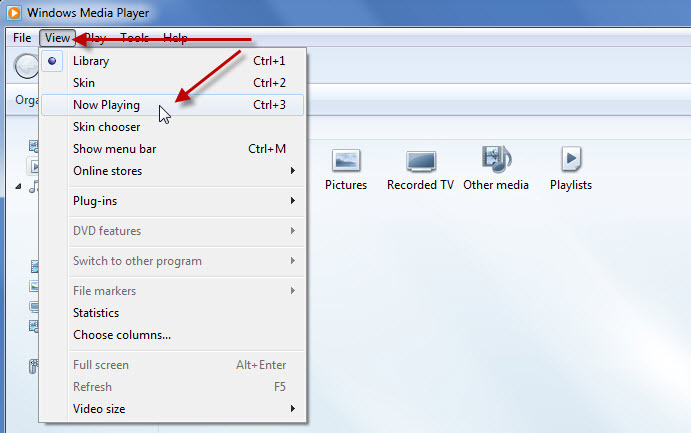 Note: this step is not necessary in order to complete the instructions that show you how to access the Menu Bar from the Now Playing screen. This step is only included here to replicate the likely situation in which you would normally use these features. 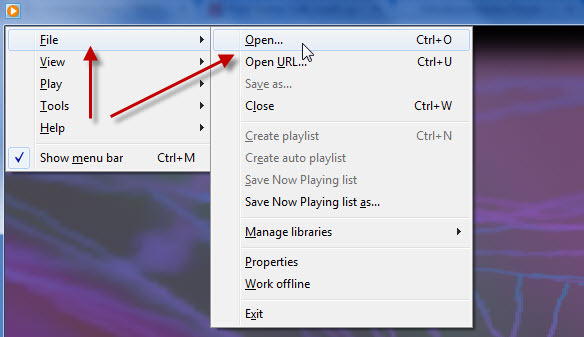 Tip: You can also use the keyboard shortcut Ctrl + O to open the Open dialog box (instead of steps 6–7 above) and then navigate to your desired song. As far as I know, there is no way to anchor the Menu Bar to the Now Playing screen. However, this shortcut at least eliminates the annoyance of leaving the Now Playing screen to open another song. 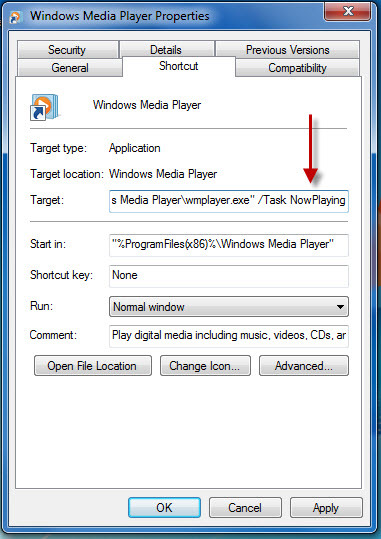 Another thing you may have noticed is that you must navigate to the Now Playing screen every time you open Windows Media Player 12. 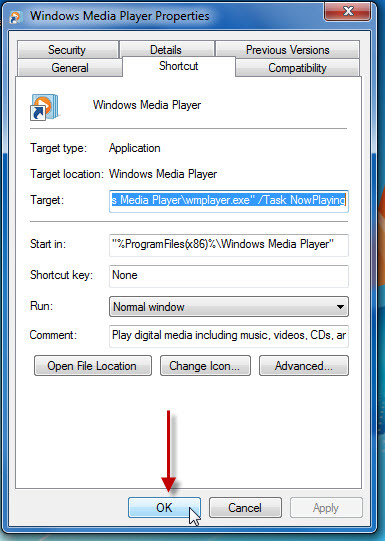 However, you can change the default opening screen so that Windows Media Player 12 always opens on the Now Playing screen. 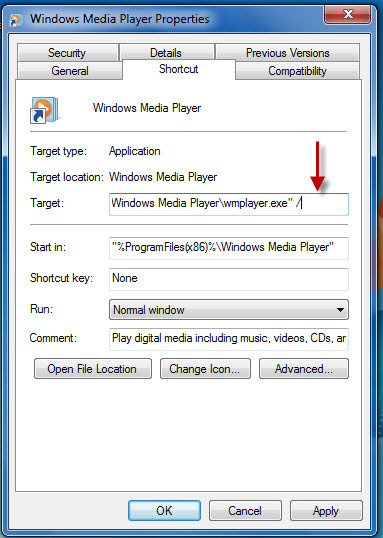 Note: If you do not have a shortcut icon on your desktop, you can right-click the Windows Media Player 12 entry in the Start menu. 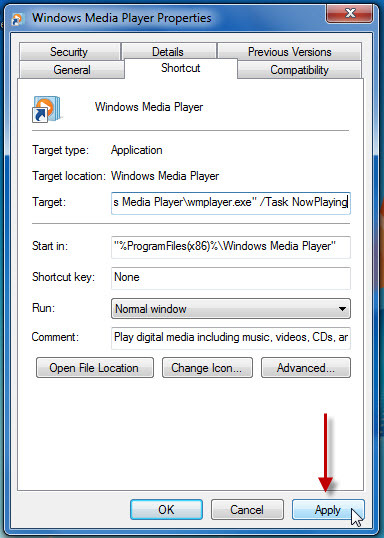 Alternatively, you can create a desktop shortcut by clicking on the Windows Media Player 12 entry in the Start menu and dragging it onto the desktop. 6. In place of the text you have just deleted, type: "Task NowPlaying"
Note: Do not include quotation marks when you type in the above text. 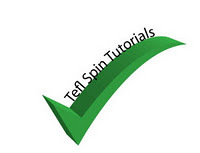 Also, ensure there is no space after the forward slash, but that there is a space after "Task." Finally, ensure you delete any spaces after the new text you have typed in. 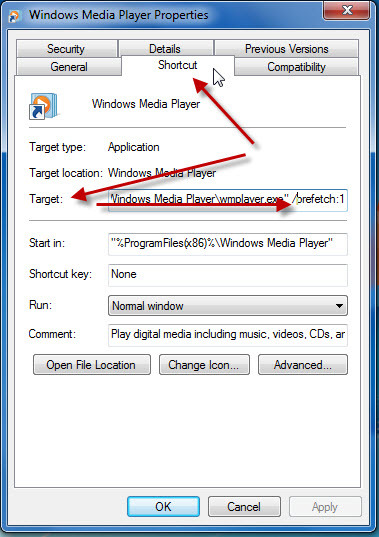 I hope that this tutorial will make Windows Media Player 12 a more enjoyable program to use.